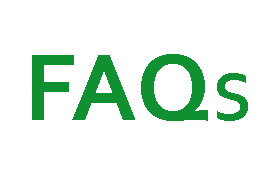 In a recent survey performed by EveryoneOn.org, about 80 percent of Fortune 500 companies only accept online job applications. But, an estimated 100 million Americans don’t have home Internet access, and find themselves on the wrong side of the digital divide. 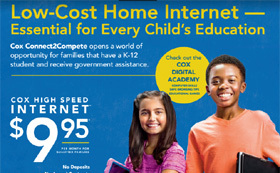 Cox Communications is working in the communities we serve to help close that digital divide, and bring home Internet access to families at an affordable price. But, for our mission to be successful, we rely on the help of community partners and organizations to help spread the word. Here, you’ll find a collection of resources and program outreach materials designed to help your friends, families and neighbors get the access they need today. These templates and samples have been created to help get the word out to your school or community. Check out the full toolkit for letters, newsletter samples, flyers and much more. 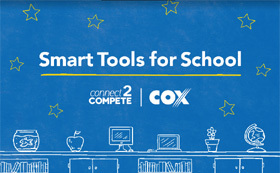 Email CONNECT2COMPETE@COX.COM to request a mailing to your school or community. 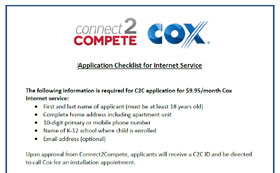 Learn more about the program, how to enroll, and what information is needed for families to complete the Cox Connect2Compete internet application.